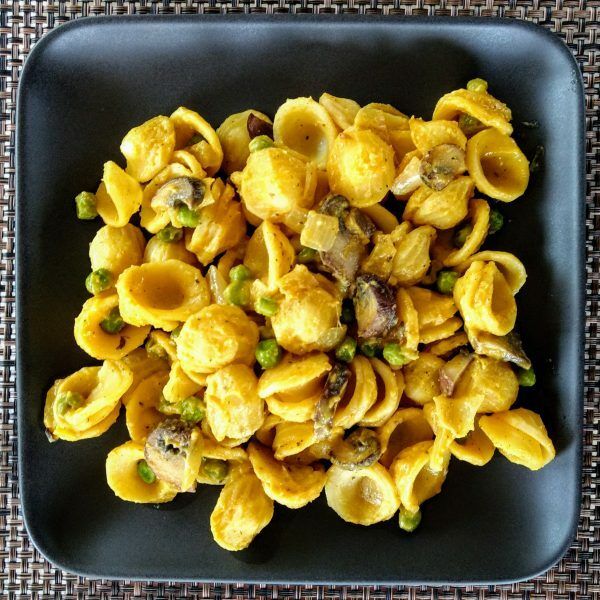 Easy, Delicious, Nutritious, and Versatile! 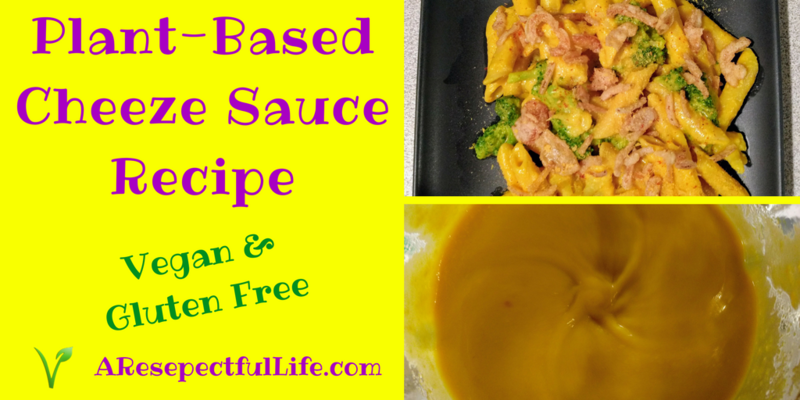 I use this sauce recipe for vegan Mac N’ Cheese, to top veggies, potatoes, etc! This recipe makes enough for 2 or more meals. 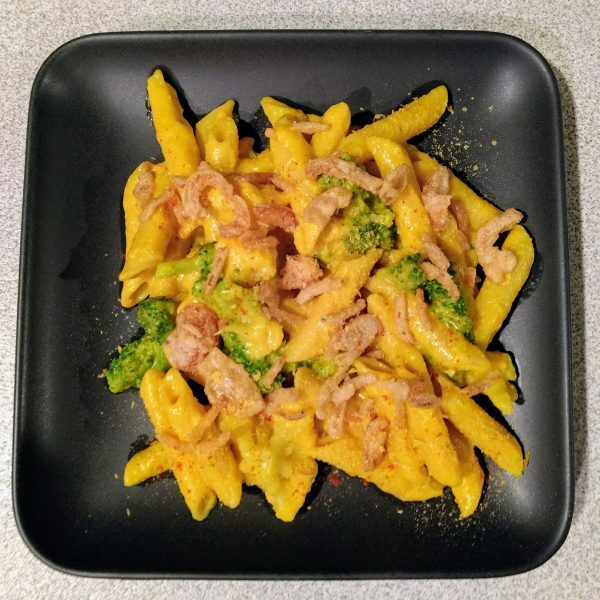 You can put about anything in your Mac N Cheez, and use whatever type of pasta you prefer. 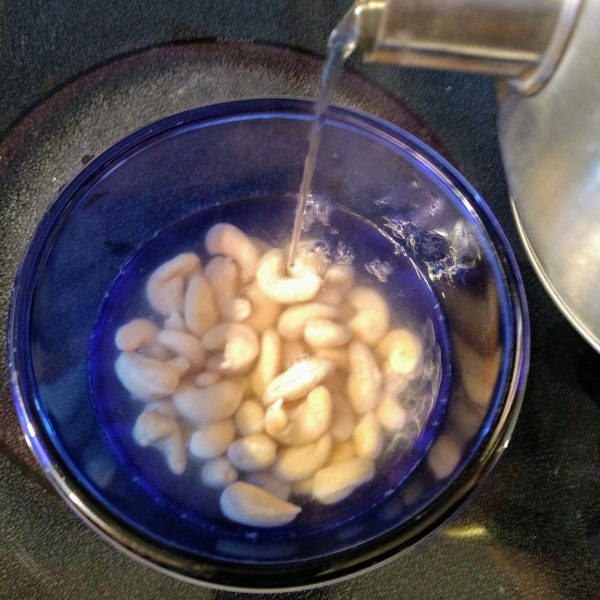 Soak 3/4 cup raw cashews in boiling water for 1 hour. Drain water from cashews after 1 hour. 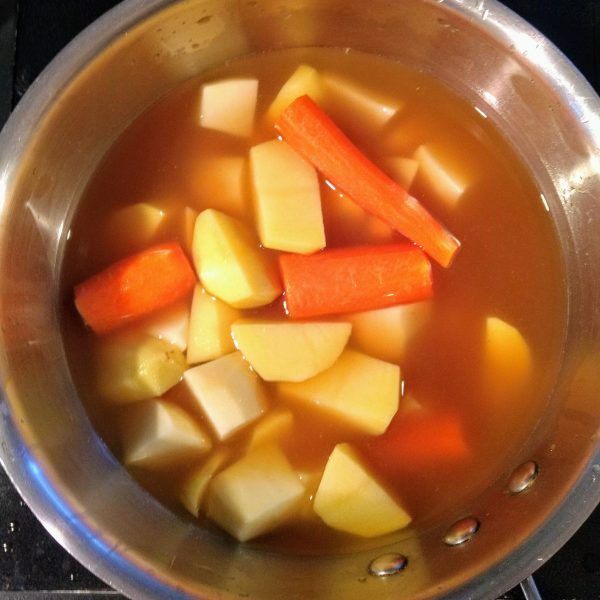 Boil carrots and potatoes in 3 cups of vegetable broth until soft. Approximately 20 minutes. Best to cook covered so you don't loose too much broth in steam. 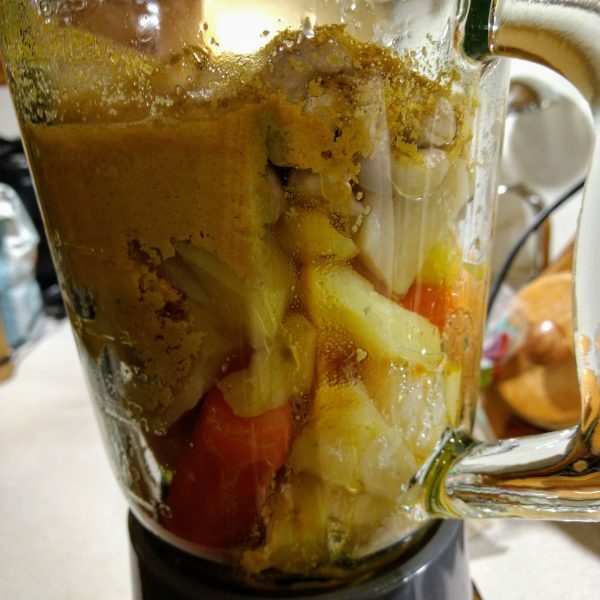 In a blender, add carrots, potatoes, veggies broth, spices, nutritional yeast, lemon juice, and drained cashews to a blender. 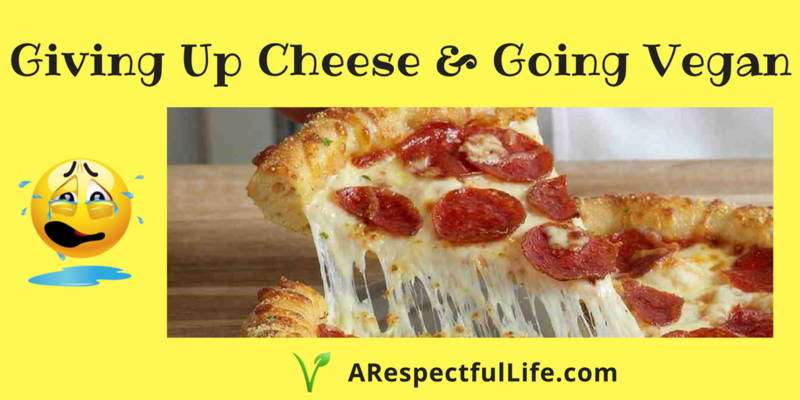 Add to your favorite mac and cheese dish, top potatoes, etc! In this picture, I boiled some cauliflower and broccoli with the whole grain noodles, and topped with french onions. 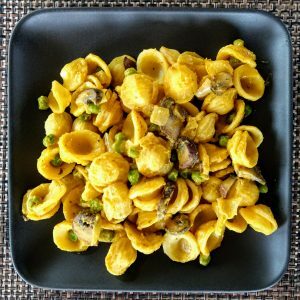 Choose your favorite pasta and veggies to add! 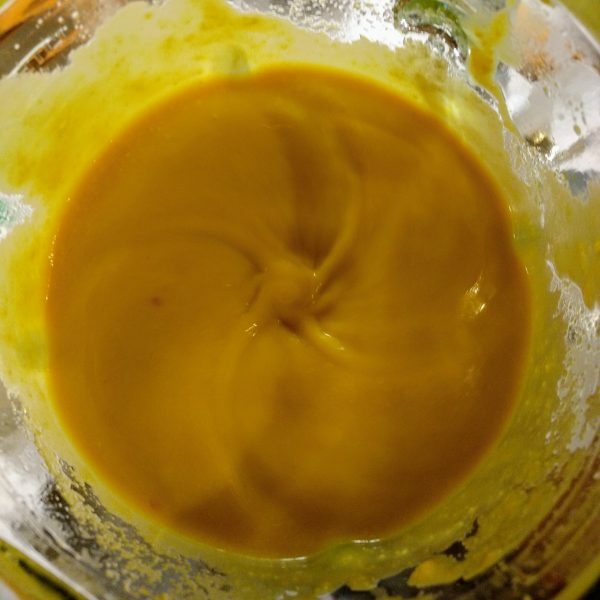 If you do not have a powerful blender, you may want to consider dividing all ingredients into 2, or cutting this recipe in half. If you steam out too much liquid when cooking the potatoes and carrots, you may want to add a little more veggie broth to desired consistency. Water also works. This recipe looks really good!